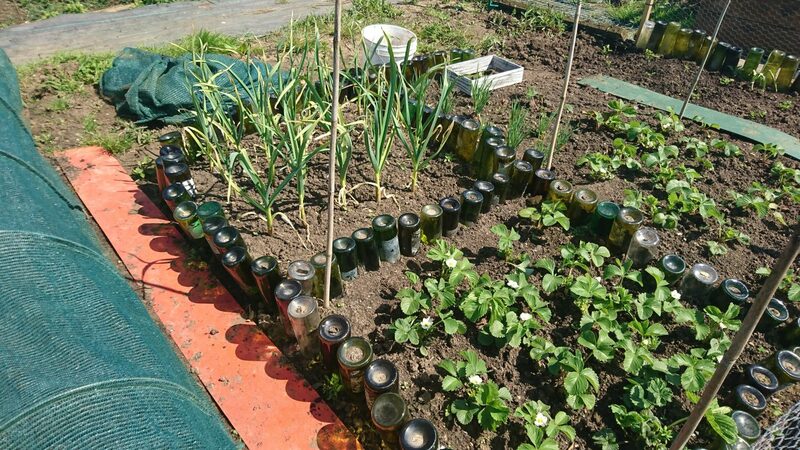 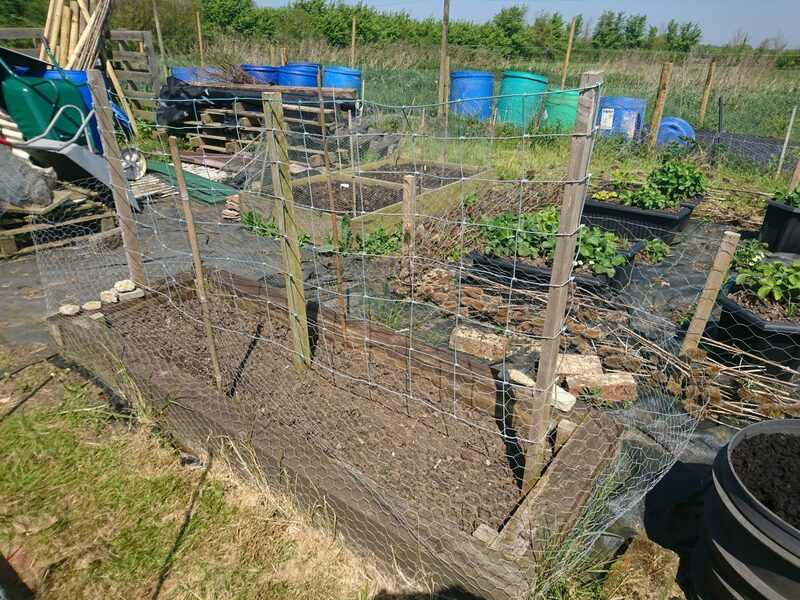 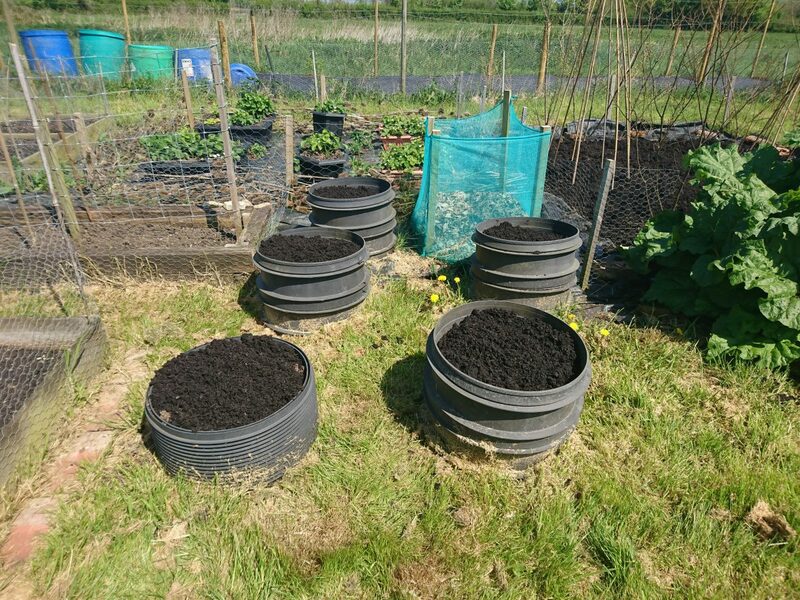 Wandering around the allotments on the farm the other day I spotted an interesting variety of raised beds and containers – most use wooden planks, pallets or sleepers, but one was formed using empty wine bottles while another made use of old tyres to create a mini frost-free space for early veg. 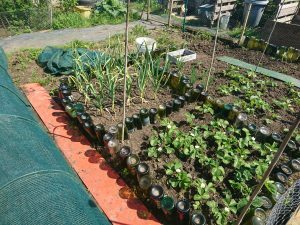 Plus there were a selection of plastic troughs. 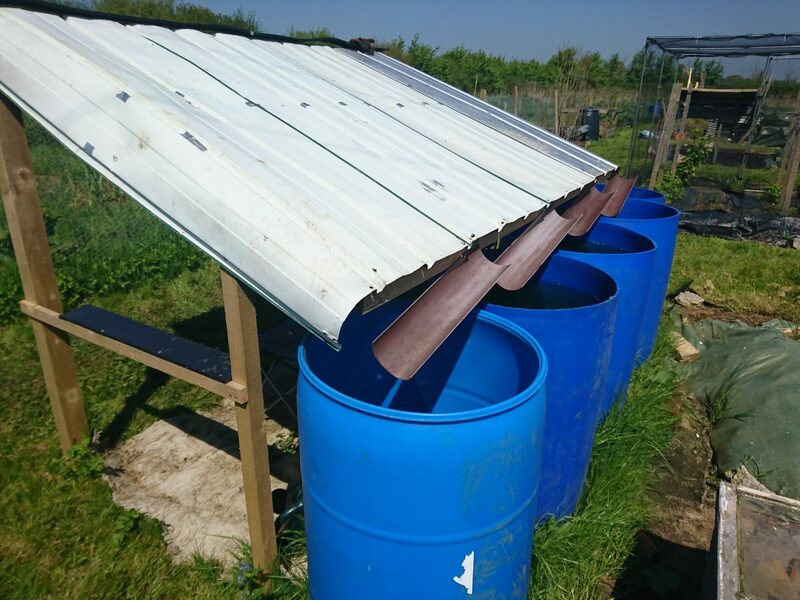 There is no water tap on the allotment so the allotmenteers have devised ways of harvesting water, including the rigging of small roofed shelters to direct the water into blue containers – this water harvesting system doubles up as a storage area as well as useful shelter from the rain or sun, both of which have applied recently!